When I think of France the first thing that comes to mind is the smell of fresh bread and pastries, incredible art and architecture, delicious wine and an incredible history. 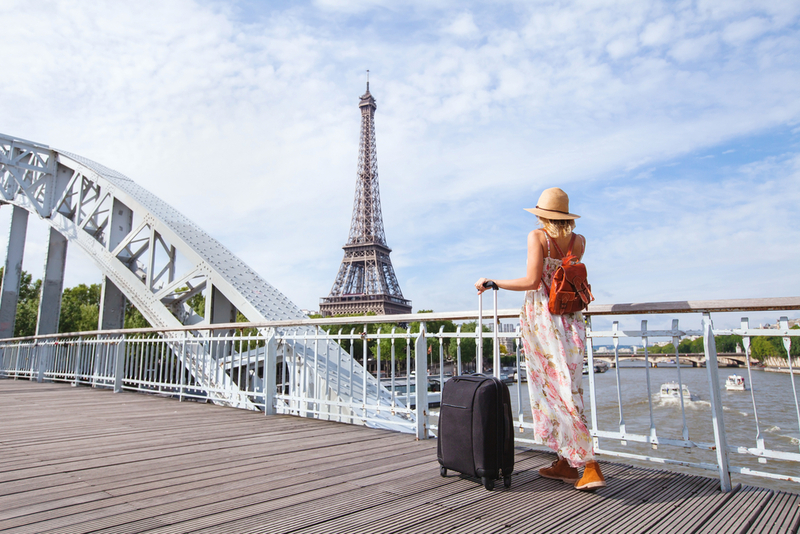 America and France have been tied together since the Revolutionary War, and Americans, starting with our founding fathers have always loved traveling to France. I know that you will love it as well! 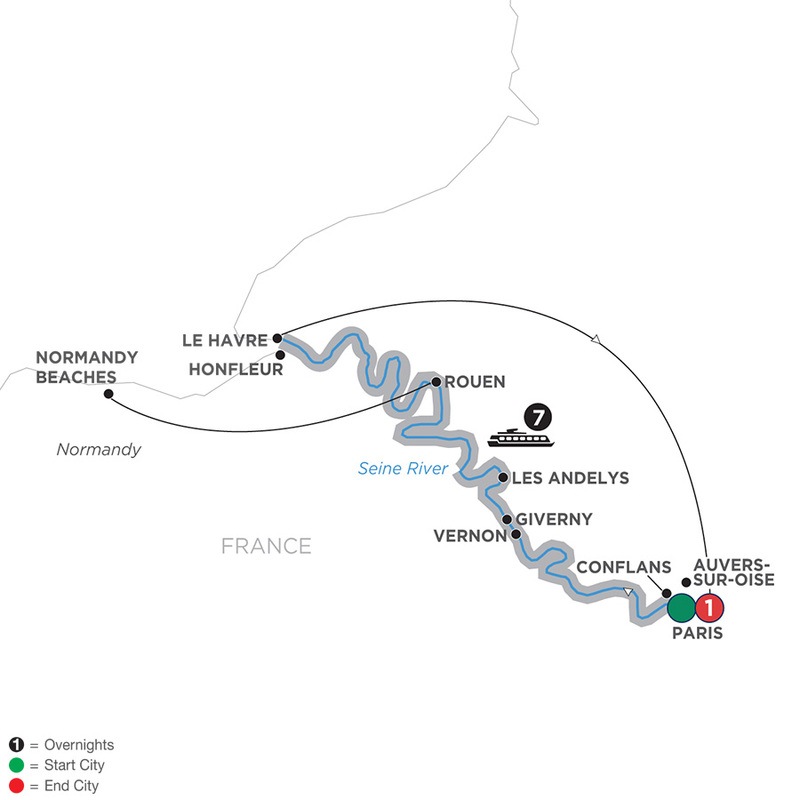 On this journey we will explore Paris, the Seine and dig deep into the Normandy region. Doing this by river cruise is an incredibly comfortable and enjoyable way to experience the charming cities and villages along the Seine. When we complete the journey, we will head to Normandy. There are few places in the world that resonate with Americans like the Normandy region of France. Fifteen years ago, my father and I joined my grandfather, a WW2 and Normandy Vet, on a journey to Europe to celebrate the 60th Anniversary of the D-Day invasion. We spent time in Paris, where he met my grandmother while stationed there after the war. Then we headed to Normandy for a week, and grandfather was given a hero’s welcome. Nowhere in the world have I seen this close of a tie with America and a deep love for Americans. 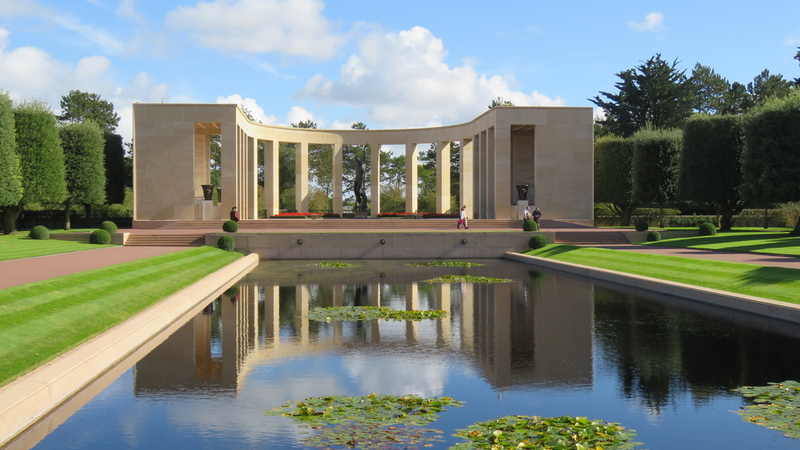 When I visited the Omaha Beach American Cemetery for the first time, I was overwhelmed thinking about the young men and women buried there who gave their all so that I could live the free and independent life that I choose. The French understand this sacrifice, because it was also made by their parents and grandparents. This trip opened my eyes to the incredible power of experiential travel and introduced me to my grandfather in a new way that I will forever cherish. 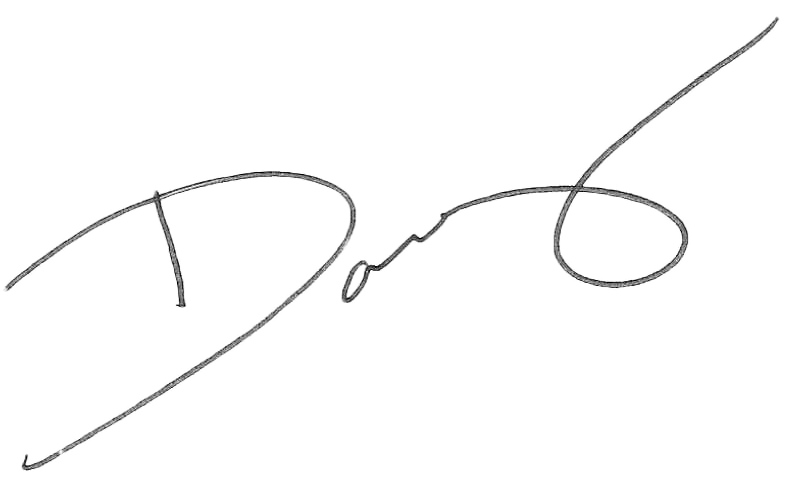 I sincerely hope I get the chance to share this experience with you. Support of Harr Travel for All Your Travel Needs! See Paris, Monet’s Gardens in Giverny, Napoleon’s Chateau, Bizy Castle and more while cruising in luxury in Avalon’s award winning cabins. 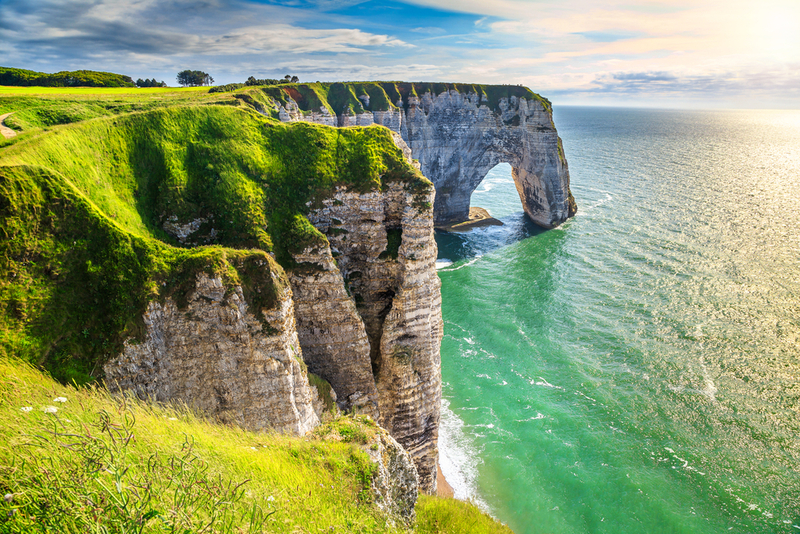 After the cruise, visit Normandy’s most beautiful and important sites with expert guides. 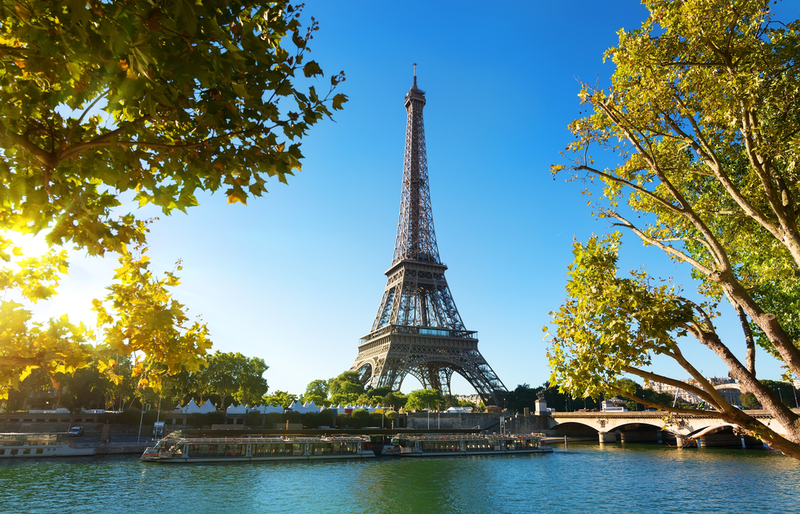 Begin your panoramic French river cruise on the Seine with a visit to Paris—The City of Lights. 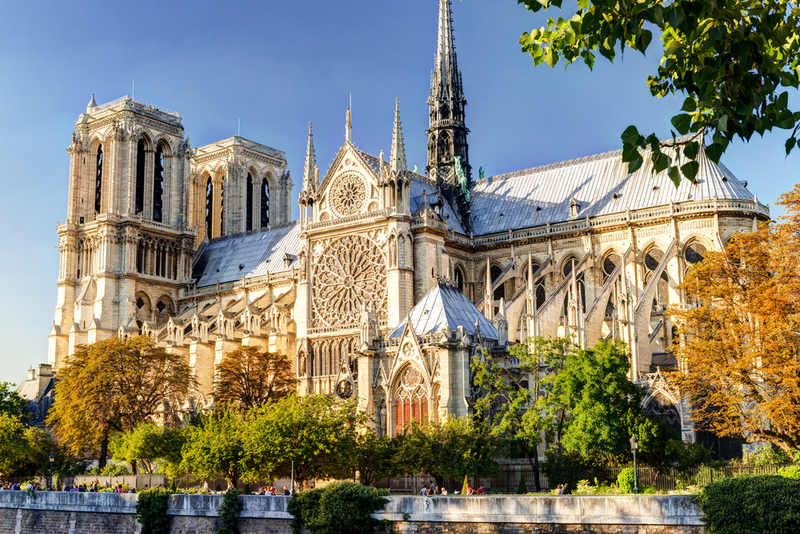 See the sights in the heart of the city, including a visit to Notre-Dame Cathedral, or take a tour which will show you the iconic locales of the Louvre Museum, Arc de Triomphe, Eiffel Tower, and more. 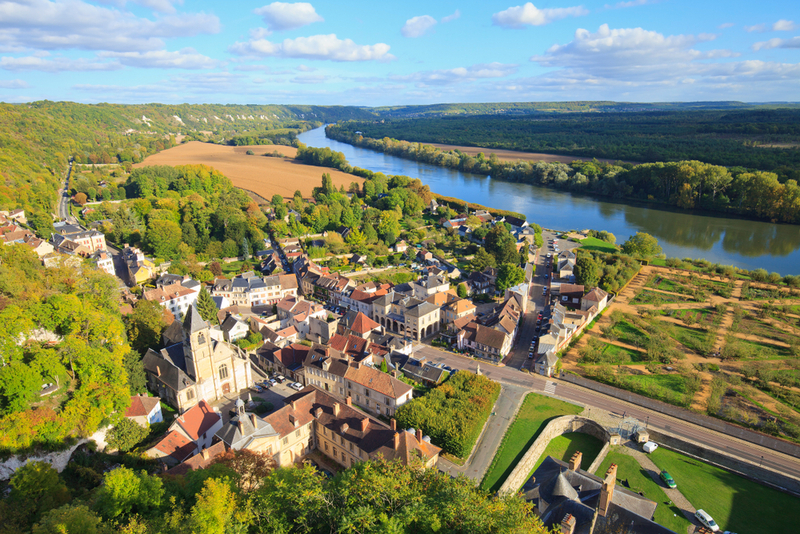 Cruise to Conflans and choose between an excursion to visit Auvers-sur-Oise or Napoleon and Josephine’s Château de Malmaison. 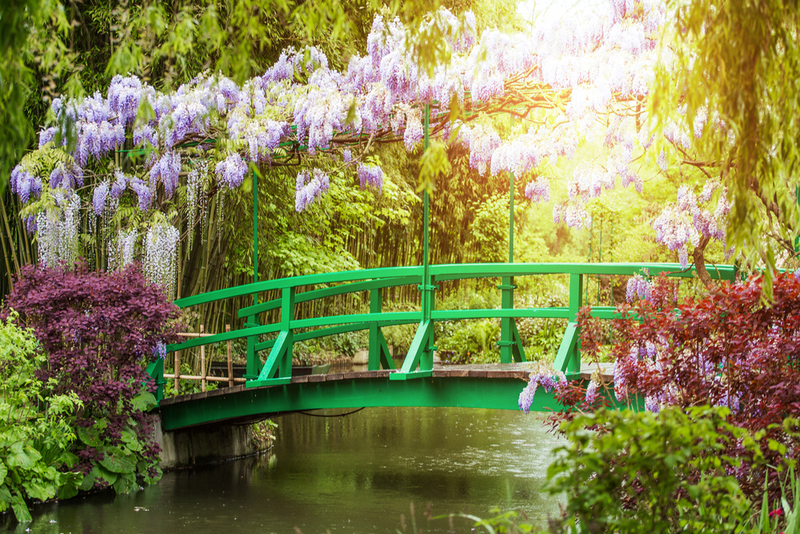 Then, continue to Vernon to visit the home of master artist Claude Monet at the gardens of Giverny, or visit magnificent Bizy Castle. Your river cruise on the Seine sails on to Les Andelys for guided tours of this picturesque village, and nearby castle ruins. Next up is the beautiful city of Rouen. On the first day we will have a surprise Harr Travel only excursion. 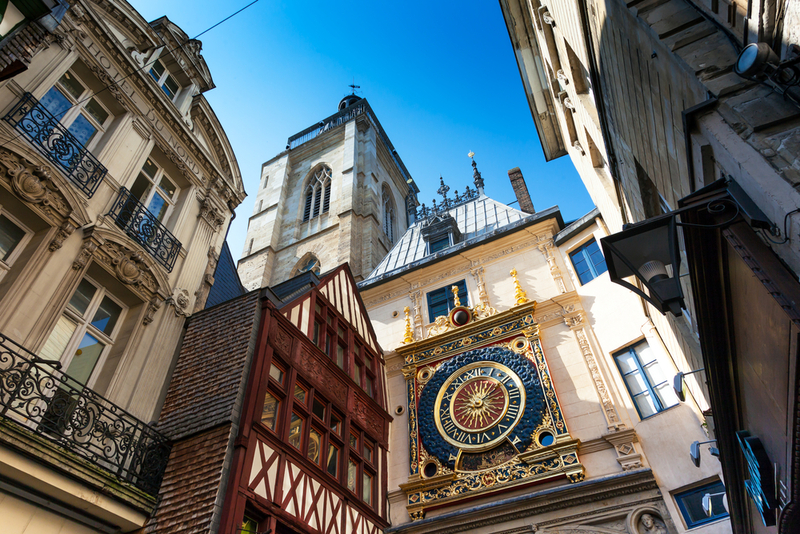 We will overnight in Rouen and then the next day take a walking tour of the village where Joan of Arc was martyred, as well as the Notre-Dame Cathedral, and Astronomical Clock. Last stop of your Seine River cruise is Le Havre, where you will enjoy a guided city sightseeing. The cruise concludes in Le Havre and then most passengers will return to Paris. 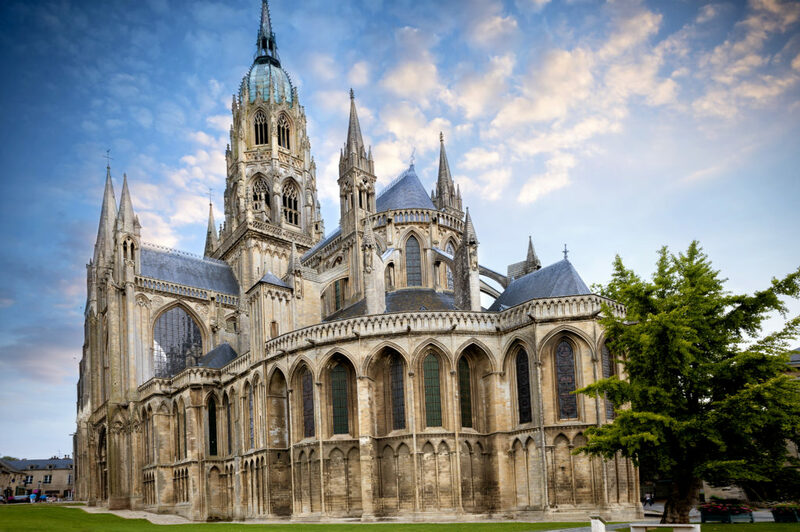 Our group will instead be heading to the charming medieval town of Bayeux; a quaint village with a beautiful Gothic Cathedral and the famous Bayeux Tapestry. 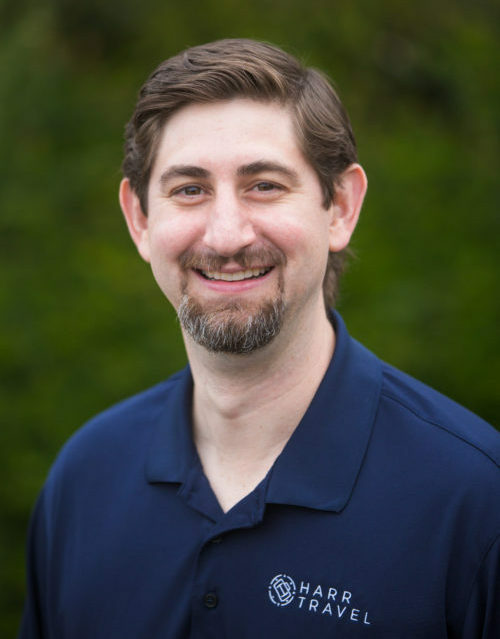 We will explore the culture and culinary traditions of the area, in addition to the sites related to the D-Day invasion. During our time in Normandy we will deeply explore the moment in history where Allies started their final push to end Fascism in Europe. 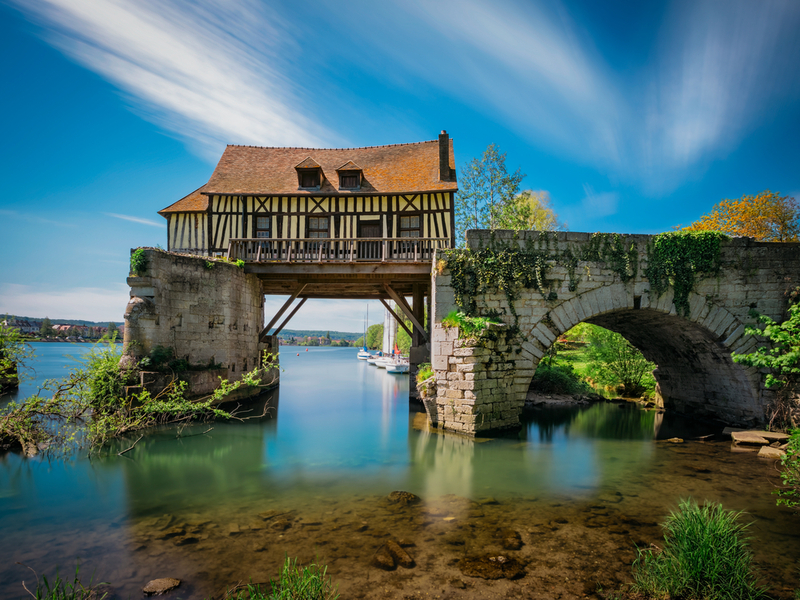 This peaceful corner of France is mostly farmland and is well known for its produce, seafood, cheeses and an apple-based spirit called Calvados. Early on the morning of June 6th, 1944 this area erupted with bombs being dropped, paratroopers falling from the sky and thousands of ships bombarding the coastline before tens of thousands of Allied troops stormed the beaches. World War II will come to life as we walk in the steps of those who lost their lives and others who lost their innocence. Our trip will conclude with transport back to Paris with a stop at the beautiful La Roche Guyon Chateau. We have included an airport hotel to make it convenient to depart the next morning or extend your journey. The Avalon Tapestry II is a true haven on the river – two full decks of Panorama SuitesSM with Wall-to-Wall Panoramic Windows that transform the living space into a unique Open-Air BalconySM. With 200 square feet, Panorama Suites are more than 30% larger than the industry standard, giving you the rare opportunity to wake each morning to enchanting scenery and fresh breezes. Onboard amenities and services include complimentary computer use in public areas and free Wi-Fi access, a Fitness Center with state-of-the-art equipment, an elevator, and a spacious Sky Deck with shade system, whirlpool, deck games, and the delightful Sky Bistro for al-fresco lunches of light grill fare. Our ship will dock in the heart of Paris and will serve as your floating boutique hotel. 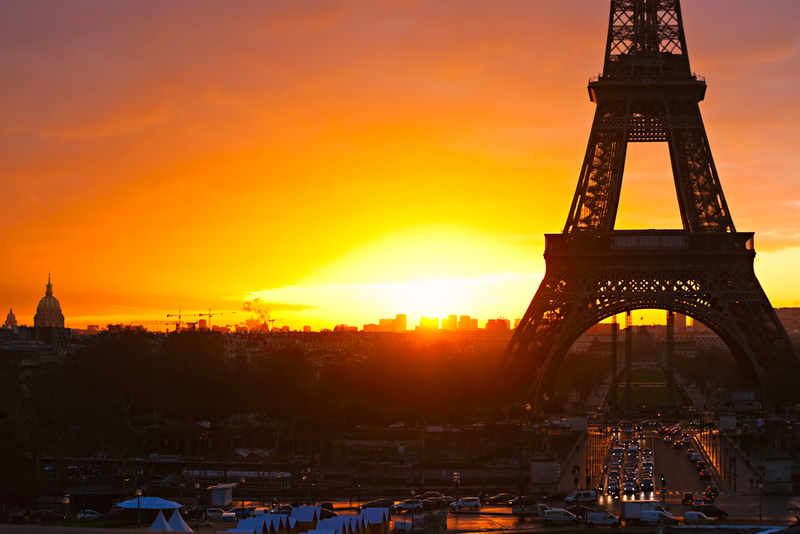 This will allow you to experience the City of Lights when it is most beautiful. Return to the ship when you wish, and the ship will remain docked overnight. Most Avalon guests will be heading on an all-day excursion to Normandy. Since we will be digging deeper into this region at the end of our journey, Harr Travel has arranged for a private custom excursion for our group. Our ship will overnight in Rouen. Custom Harr Travel excursion. More information coming soon. After you disembark from the ship you will meet your guide at the pier and board your private coach. We will drive to the Caen-Normandie Memorial and visit the Memorial followed by lunch at leisure. We will then drive to your hotel and check-in. 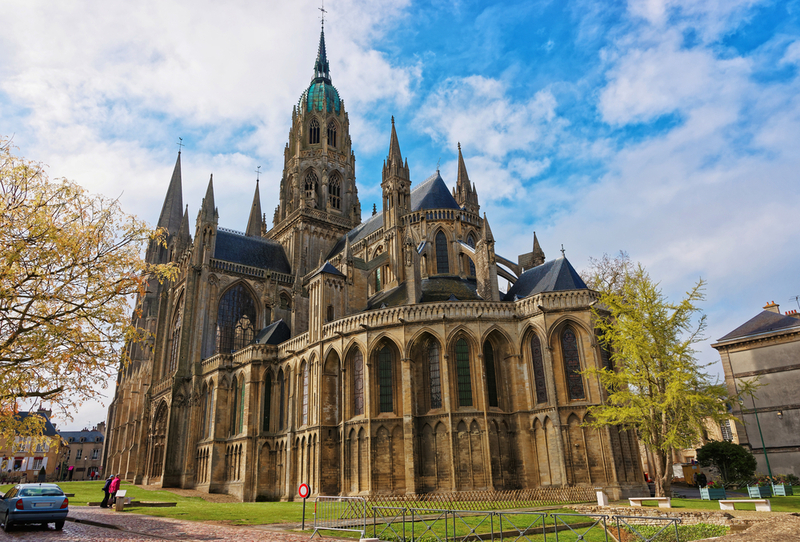 During the afternoon we can walk or drive to Bayeux city center and visit the Tapestry museum along with a short guided tour of Bayeux. In the morning you will meet your guide in the lobby and board your private coach. From there you will depart to the Pointe du Hoc for a visit the German military cemetery. 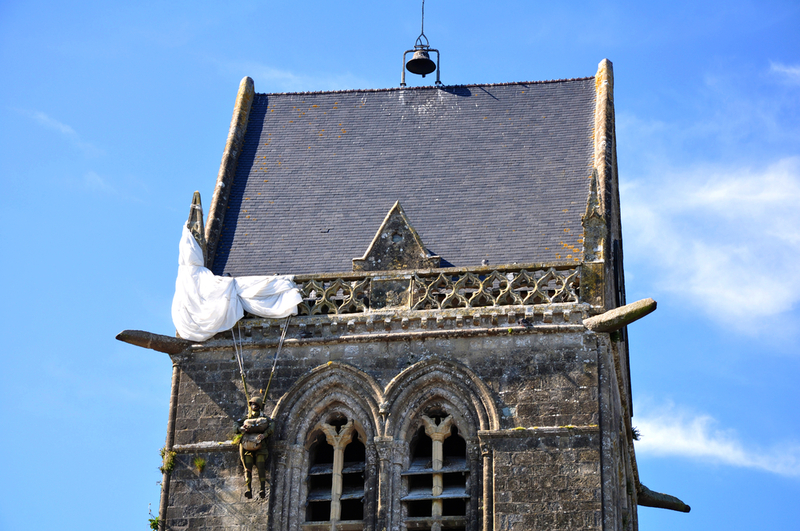 After that we will Drive to Sainte Mere Eglise and visit the airborne museum. We will end the afternoon with the visit of Utah Beach. In the morning you will meet your guide in the lobby and depart for Arromanches. At Arromanches you will observe the important artificial harbour used in D-Day. Continue your morning with the Ferme de la Sapinière and visit of the farm followed by calvados and cheese tasting. During the afternoon we will depart for Bayeux and have lunch at leisure in Bayeux. After lunch we will depart for Omaha Beach and visit the American cemetery. At 4:00PM we will listen to a playing of TAPS. For dinner we will enjoy a meal at a local restaurant in Bayeux city center. Our trip will conclude with transport back to Paris with a stop at the beautiful La Roche Guyon Chateau. We have included an airport hotel this evening to make it convenient to depart the next morning or extend your journey. Visit of the town of La Roche Guyonan. 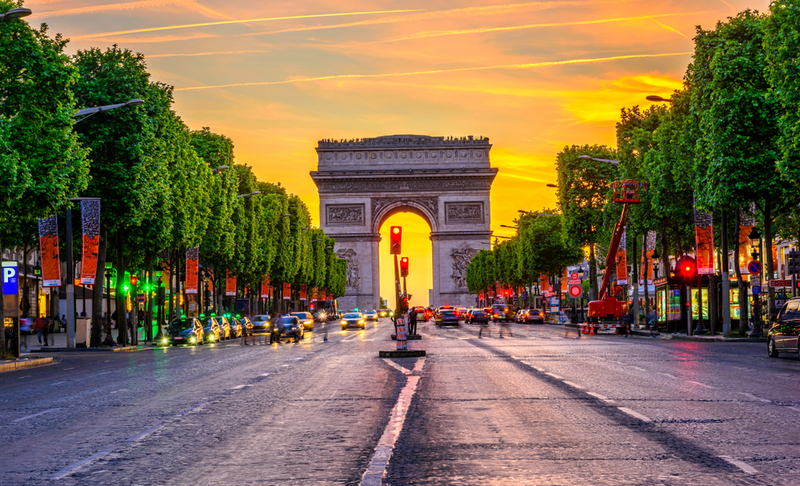 Harr Travel is happy to customize a post tour extension for you in Paris or anywhere else. Azamara – more information click here. 75th Anniversary of Normandy – more information coming soon. 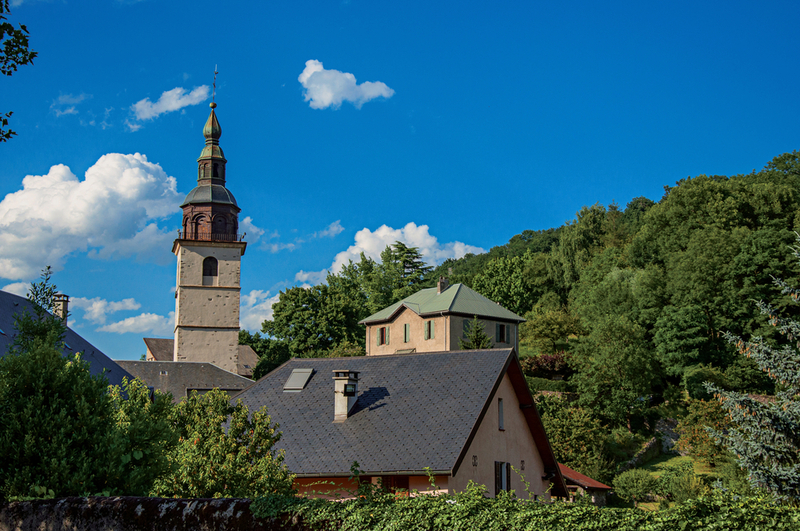 Viking River Cruises – more information coming soon. AmaWaterways – more information coming soon.